Maybe Trump objected to the fraudulent notion, which Comey led the world to believe, that Trump was under investigation for collusion. On March 30, 2017, by his own account, then-FBI director James Comey told President Donald Trump that Trump himself was not under investigation – the third time he had given him that assurance. In fact, Comey told Trump that he had just assured members of Congress that Trump was not a suspect under investigation. This was fully six weeks after the then-director’s Oval Office meeting with the president, during which Comey alleges that Trump told him, “I hope you can see your way clear to letting this go, to letting Flynn go.” Flynn, of course, is Michael Flynn, the close Trump campaign adviser and original Trump national-security adviser, whom Trump, with pained reluctance, had fired just the day before. Interesting thing about that. Most of the time, when public officials obstruct an investigation, there is a certain obsessiveness about it. Because, in the usual situation, the official has been paid off, or the official is worried that the subject of the investigation will inculpate the official if the investigation is allowed to continue. There is great pressure on the official to get the case shut down. But not Trump, he of the notoriously short attention span. Trump was feeling remorse over Flynn. What he told Comey, in substance, was that Flynn had been through enough. A combat veteran who had served the country with distinction for over 30 years, and who had not done anything wrong by speaking with the Russian ambassador as part of the Trump transition, Flynn had just been cashiered in humiliating fashion. The one who had done the cashiering was Trump, and he was still upset about it. That, obviously, is why he lobbied Comey on Flynn’s behalf. And as I have pointed out before, it was an exercise in weighing the merits of further investigation and prosecution that FBI agents and federal prosecutors do hundreds of times a day, throughout the country. That matters because, as their superior and as the constitutional official whose power these subordinates exercise, Trump has as much authority to do this weighing as did Comey – who worked for Trump, not the other way around. The thing to notice, though, was that Trump never did it again. After Comey’s description of this February 14 encounter, the word “Flynn” never appears again in Comey’s written testimony. This appears to be the one and only time that Trump advocated on Flynn’s behalf. If Trump was obstructing an investigation, he was awfully passive about it. 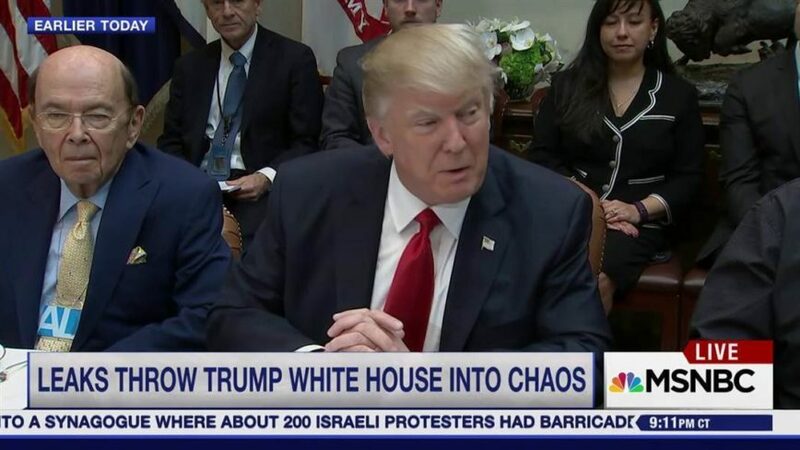 But Trump did not issue any such order. By the former director’s own account, the words Trump used left the decision about pursuing Flynn to Comey’s discretion – notwithstanding that, as chief executive, Trump had the legitimate authority to order Comey to close the case. Moreover, at the time these events actually happened, Comey took no action consistent with someone who understood himself to be under a directive by the president of the United States. He and the FBI continued the investigation. Trump not only did not stop them from doing that. He never asked about the matter again. After the immediacy of the president’s anguish over having to fire his friend, Flynn seems to have faded from memory. Trump could have pardoned Flynn, he could have stepped in and ordered an end to the investigation at any time. He’s never done either. Comey, meanwhile, also took no action consistent with someone who believed he had witnessed a crime. He now says he can’t say for sure whether it was or it wasn’t obstruction. But he is a highly experienced former prosecutor and investigator who has handled obstruction cases. He is an expert in this area of the law. At the time it happened, he did not report to his superiors at the Justice Department that the president had committed obstruction – although he would have been required to do that if he believed it had happened. What about Congress? Did he report it to Congress, in whistleblower fashion? Actually, he did the opposite. Clearly, this led the media and much of the country to assume the FBI director had confirmed that the president was a suspect in what appeared to be a criminal investigation. It similarly alarmed lawmakers. Comey thus privately assured members of Congress that the president was not a suspect in any FBI investigation. But he would not correct the misimpression being formed by the public, relying on his testimony. Then, on March 30, he again assured Trump that Trump was not a suspect in any FBI investigation. Patently, Comey and the FBI did not believe Trump had obstructed an investigation by lobbying on Flynn’s behalf. And just as patently, that’s because Trump did not do so: You cannot act corruptly – as the obstruction statute requires the government to prove beyond a reasonable doubt – if you do not believe what you are doing is against the law. Since Trump had as much authority as any prosecutor or FBI agent to weigh the merits of prosecuting Flynn, he cannot have acted corruptly in doing so. So, given that no one who was aware of the facts believed that Trump had committed obstruction at the time the conduct occurred, why is Trump now reportedly under investigation for obstruction? My surmise: The Obama administration and the intelligence community conflated the real threat of Russian interference in the American electoral process with the false narrative of Trump-campaign collusion in the interference. In an explosive announcement that departed from Justice Department protocols against commenting on investigations, then-director Comey gave congressional testimony that induced the media to report, and much of the public to believe, that Trump was a prime suspect in an FBI investigation, focused on a suspected conspiracy between his campaign and Russia to tamper with the election process. The FBI was even assessing whether criminal charges should be filed. Trump knew that this was not true because Comey had repeatedly told him it was not true – both before and after Comey’s March 20 congressional testimony. 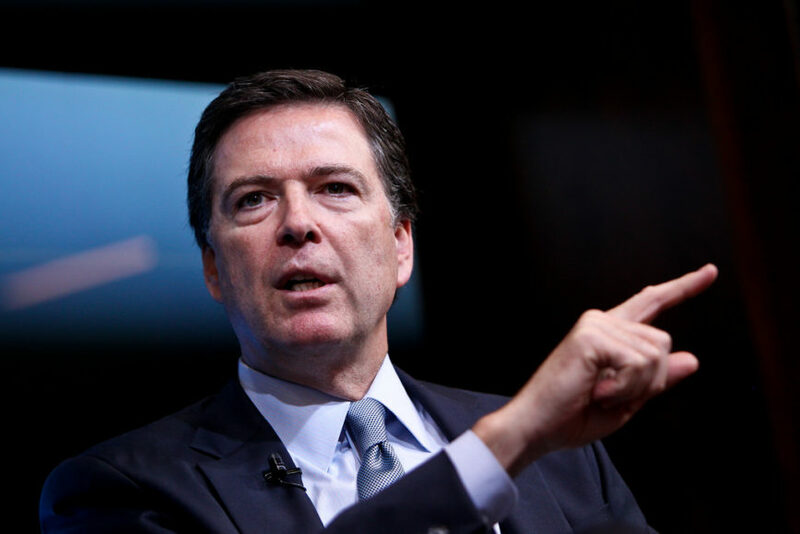 Yet, in what Trump had to find an exasperating and inexplicable stance, Comey refused to state publicly that Trump was not under investigation, even though – in a deviation from both law-enforcement guidelines and the assurances he had given the president – Comey had led the world to believe that Trump was under investigation. Trump did not do anything to interfere with the investigation of Russia’s interference in the election. According to Comey’s testimony, the president even said it would be good to find out if any of Trump’s “satellites” – his associates – had done anything wrong. What the president appears to have objected to, and to have sought help refuting, was what he saw as the fraudulent claim – subtly advanced by Comey and perhaps others in the intelligence community – that he personally had colluded with Russia in connection with the election, and that he was a criminal suspect. That is not obstruction of an investigation. It is objection to a narrative – a narrative that the intelligence agencies knew was false yet refused to correct, no matter how much it was, and is, damaging Trump’s capacity to govern.